Every year I try to decide which of my photographs on Flickr are the best ones. It is exceptionally difficult to decide, because I have taken so many. Please let me know if you have any other suggestions. I would love to post more photographs in this category, but I can't include them all! 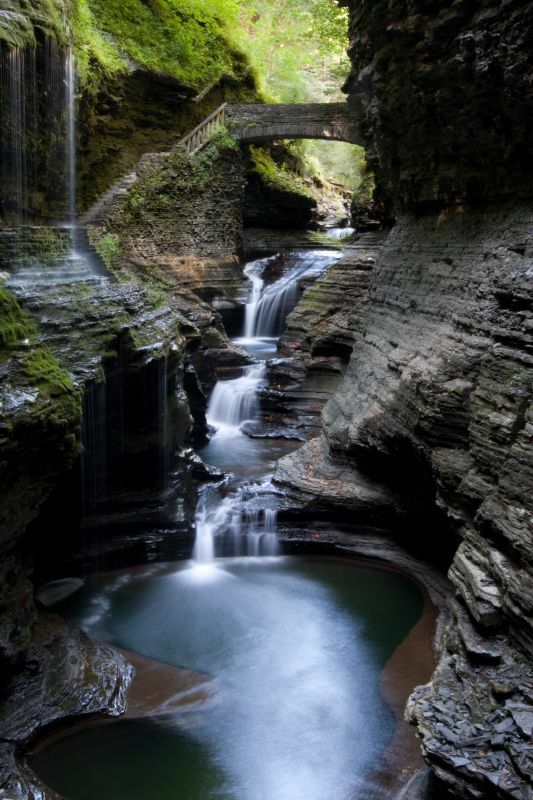 If I had to pick one photo from the entire year, I believe it would be the one below of Rainbow Falls in Watkins Glen. I planned an entire trip to get this shot and it really summed up my 2009 waterfall fascination. To take this photograph I had to wait until all of the tourists were across the bridge and behind the rock. This is a great place to photograph waterfalls. When you have been walking in Watkins Glen for a while, you start to feel like you are in a Lord of the Rings movie on some kind of quest! Was I invited to this LOTR epic adventure? Wow, this picture is stunning! - Like it!